The picture above was taken at Lake Retba in Senegal. 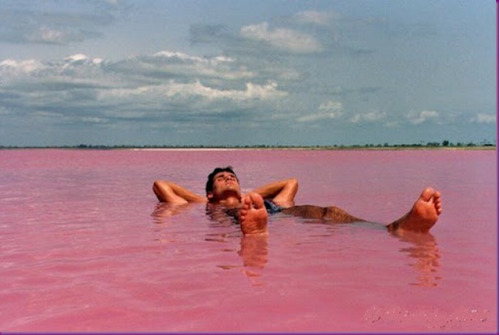 The lake gets its vivid pink color from cyanobacteria that are present because of the high salt content-50% higher than in the Dead Sea. Like the Dead Sea, it is very easy to float in the water there...if one does not mind the layer of salt crystals that form on the body when you dry off.